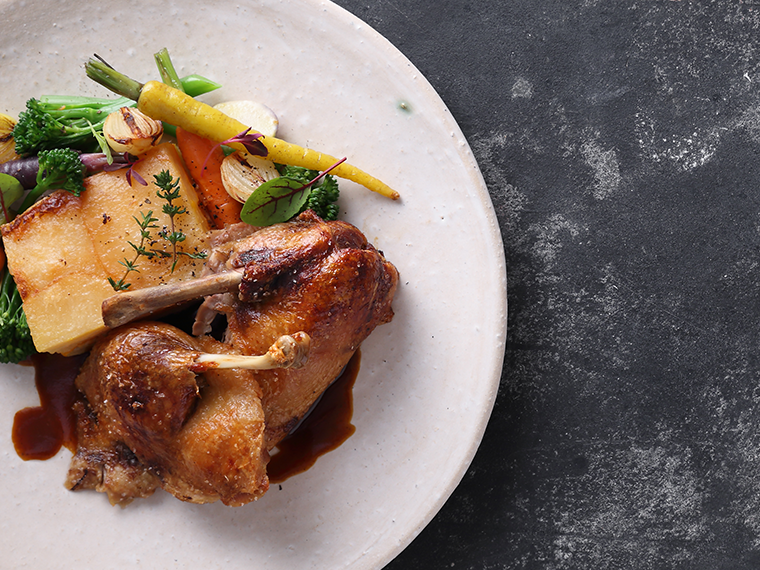 Every dish deserves individual attention, and this week it`s our Crisp Roast Half Duck from our menu – our take on a famous & delicious food with a long history. Ducks were originally roasted in a conventional convection oven until Qing Dynasty (1644 – 1911) China, when this dish became a delicacy on the imperial menu and were highly regarded by emperors and other members of the ruling classes. Interestingly, a dish called Shaoyazi (literally “burning duck”), goes back to the 400s during the Southern and Northern Dynasties (429-589). And although the recipe and methods may have changed and adapted to modern times, it’s good to know that it is still as popular and enjoyed today as it was in ancient times! Our version is served with cointreau jus, potato and butternut dauphinoise and vegetables. As a fine accompaniment we can suggest a local South African wine from Elim: Ghost Corner Pinot Noir – available on our wine list. This wine is beautifully crafted and offers prominent red fruit flavours of ripe cherries and sweet raspberries, with an earthy undertone and a silky palate following through with a delicate oak component. We hope you enjoy your meal with us! Wine List Awards – Noop receives Diamond! We cook the same food here as we do at home. Unpretentious. Often spontaneous. Always delicious.